With gilt. 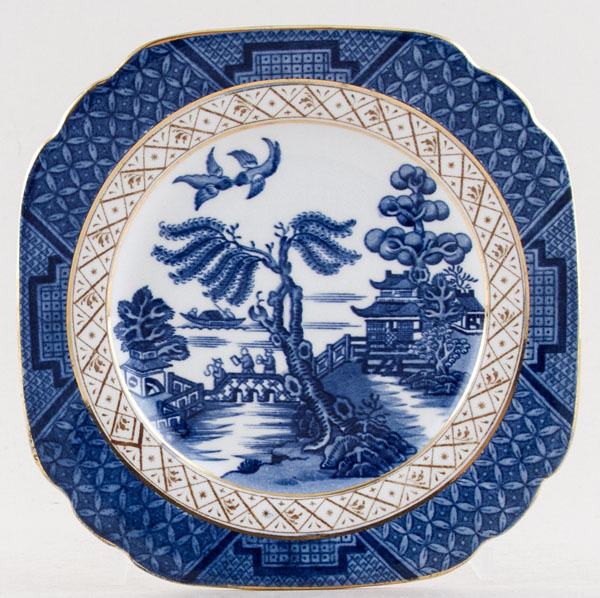 Very pretty little plate from the sandwich set. Backstamp: Booths Silicon China Made in England Real Old Willow, impressed Booths and dates for late 1920s and 1930. Light crazing with just a little very minor wear to the gilt, overall excellent condition.